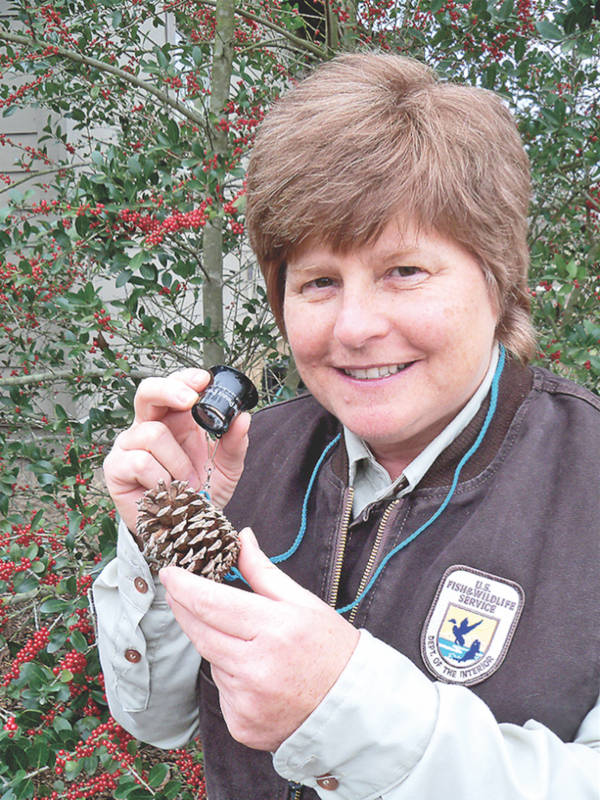 Terri Jacobson, a ranger with the Red River National Wildlife Refuge, will demonstrate the “Private Eye” method of nature exploring. Cane River National Heritage Area Inc. (CRNHA) will host a brown bag lunch and learn lecture entitled, “Nature Journaling with a Private Eye” Friday, Jan 26 at the US Army Corps of Engineers Grand Ecore Visitor Center. Guest lecturer Terri Jacobson will provide an overview of the Red River National Wildlife Refuge (RRNWR), a department under the U.S. Fish and Wildlife Service tasked with preserving the unique ecosystem in Northwestern Louisiana. Jacobson is a biologist, ranger and educator for the Red River National Wildlife Refuge who will introduce the “Private Eye” method of nature journaling. “We encourage nature enthusiasts to join us and start the New Year off by becoming a Private Eye nature observer,” said Logan Schlatre, CRNHA Heritage Ranger. Jacobson will demonstrate how to closely study nature with a magnifying lens called a jeweler’s loupe and observe the smaller details of the environment. The lecture will be followed by a Q&A session and end with a creative writing and drawing exercise. The lecture, demonstration and nature walk will be approximately an hour and half long and will take place at the Grand Ecore Visitor Center Jan. 26th from 11 a.m. – 1 p.m. The lecture is free, but space is limited. Visitors are asked to bring their own brown bag lunch. For reservations or questions, contact the CRNHA at (318) 356-5555.